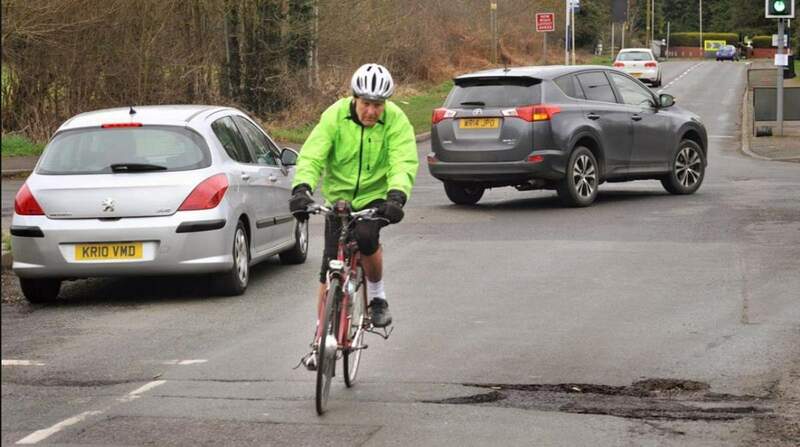 Many of the cyclists who have ridden on Britain’s roads will know that even at the best of times, it can be a bumpy ride due to potholes. They are caused by changes in temperature and water in cracks of the road surface meaning that potholes are a problem that unfortunately cannot be prevented. They put many road users at risk of damage to either their vehicles or themselves. According to a research from the AA, 1 in 3 drivers in the UK report that their car, van or motorcycle has been damaged by potholes in the last two years with some cases even leading to crashes. Potholed roads are an even bigger danger to cyclists. Suddenly steering around a pothole can put a rider into the path of passing cars; and it can be an even worse situation when a car swerves into a cyclist. It’s an issue that can only be sorted if road users report a pothole to their local authority as soon as they see them. However, only 1 in 5 people report potholes. 51% of people surveyed have seen bad potholes locally, but not reported them. 40% would report a pothole if they knew how to do it. In another survey, when asked if they would volunteer to fill potholes themselves – 20% of people said they would if it was allowed by the local council. Make a note of the specific location of the pothole. This shouldn’t just be the name of the road, but also how far up it is based on a house number, or a nearby landmark. Find the contact details for your local council. You can go straight to their website, or pop the relevant postcode into the government’s ‘Report a Pothole‘ page. Add the details in. Some councils have interactive maps, where you can drop a pin to show the location of the pothole. Others have a contact form asking for more details. There are also independent websites that have user-generated maps of potholes where road users can point out major potholes to other. However, these may not always be up-to-date so they shouldn’t be relied on instead of official channels. Only 1 in 5 people report potholes.